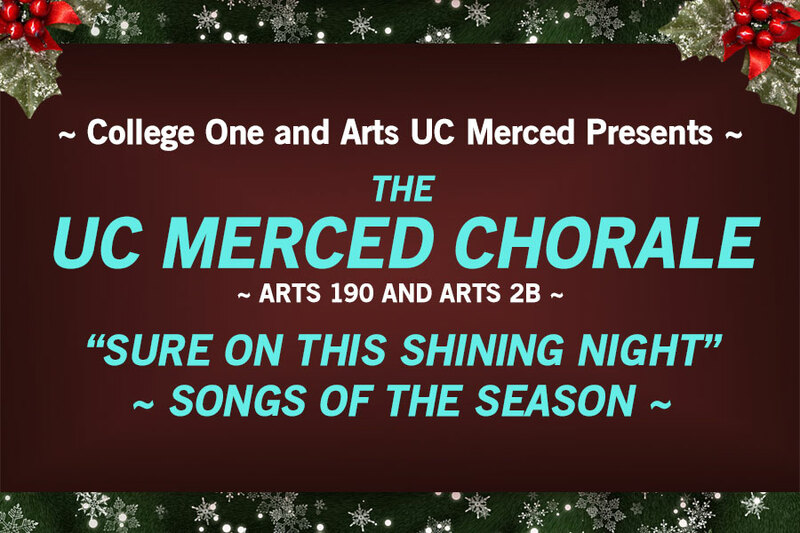 "Arts UC Merced Presents" and "College One" present the "UC Merced Chorale"in a Winter Concert: “Sure on This Shining Night” featuring UC Merced Students of Arts 190 and Arts 2B, under the direction of Lorraine Walsh, accompanied by Denise Bumgarner. Audiences will be treated to some of the most beautiful music ever written depicting Nights filled with Stars, Winter scenes and a few seasonal favorites sprinkled here and there. Pieces will be presented by our Mixed chorus as well as a few pieces by our first ever Men's Chorus. Guitarist John Albano will return to join the choir in presenting some lovely works guaranteed to delight and impress! Pure Imagination "Willy Wonka and the Chocolate Factory"